We are excited… We, meaning all of us here are Kings Kids Village, are very excited. 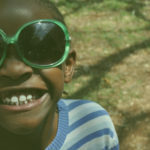 A few weeks ago, we had a visit from our good friends at New Life Home, a home for abandoned babies here in Nairobi. We have had a long term relationship with this great ministry from before we even had a thought of Kings Kids Village. In fact, our very first two KKV kids in 2004, came from New Life Home. Their goal is to get all of their kids adopted, but some age out of their program and must land somewhere safe. 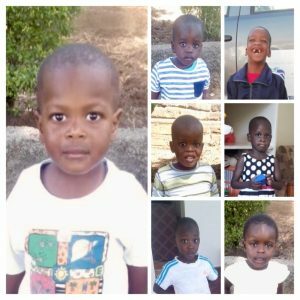 This time, we have seven new kids coming to KKV. Whenever we get new kids it is almost like a new baby being born to the family. All of us, including our moms and dads get excited, but especially the kids. They can hardly wait to meet their new siblings. It is such a great time of joy and connection. We also feel a greater sense of purpose knowing that we are making a difference in yet a few more of the many lives made vulnerable by the HIV/AIDS endemic here in East Africa. We also are very optimistic that we offer each child a great environment to grow into the people God has planned for them to become. We seek to offer them the gift of family, community, healthy lifestyle, spiritual guidance and a good education with each individual in mind. We feel we are doing the very best we can to help each of them obtain the tools they need to prepare for life. New kids mean more sponsors are needed. We cannot wait to see who the Lord will connect us with us as we seek to enrich the lives of these precious young people. Maybe you are among the new people God is speaking to regarding one of these kids. If so, you are welcome to sponsor one of our kids for ,$20, $50, $100 or a full sponsorship for $235 a month. You can try it out for a few months and see how it goes, or give a year commitment, which ever suits your budget. 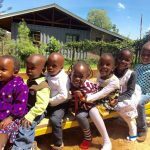 If you would like to give for the first time or change your monthly contribution, go to our website encouragelife.org , move the mouse over the “DONATE” button and then click on the “Donate to KKV” button. If you are already sponsoring a child, may God continue to bless you. If you cannot swing it at this time, no worries. God provides in many varied ways. Thanks for keeping us in your thoughts and prayers.